The Cincinnati Bearcats make their second trip to New Jersey this second to take on the Seton Hall Pirates. The Pirates have had some tough luck lately and need this win. The Bearcats are coming off a tough loss against Pittsburgh Monday, and a blowout win over Cal State Bakersfield Wednesday. They are playing their 5th game in 11 days. The Pirates and Bearcats are a clash of styles. The Pirates are all offense, and the Bearcats all defense. 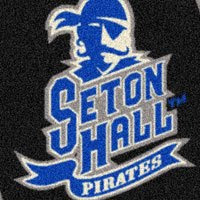 Seton Hall has lost all 3 of their Big East games, falling to West Virginia in OT by 6, Syracuse by 7, and at UConn by 8. The way they playing, UC should win by 9. But, it's never that easy. The Pirates have lost 5 of 6, but they are tough. How tough? Let's look at the numbers, and get a prediction after the jump. The Pirates have good numbers on offense, and have good defensive numbers. They have been scored on in their losses. The Bearcats are going to have their hands full. Eugene Harvey, the outstanding Herb Pope and Jeremy Hazell power the Pirates. Newcomer Jeff Robinson played well against UConn. The Bearcats are going to have to avoid the droughts that have plagued them. Deonta Vaughn has put up 17 in every Big East game, and looks to continue it here. Lance Stephenson and Yancy Gates didn't do much against Bakersfield, and hopefully the rest pays off. One has to believe Biggie McClain got minutes Wednesday to get minutes tonight, and if he is healthy I expect to see him out there. The Cats need to put the hooks into Jeremy Hazell as soon as the national anthem ends. He is a gunner in the truest sense, and will put it up no matter what. Herb Pope dominates the inside, and it's a big task for Gates, and Steve Toyloy. 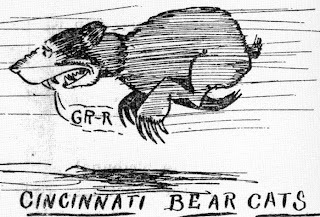 The Pirates can't afford to lose and go 0-4, and UC can't really take the 2-2 hit, but I think they will.